Learn more about Blondie's Bar & No Grill, a martini bar in San Francisco, CA. Are you not quite sure that you'll have as much fun as we think you will at Blondie's Bar in San Francisco, CA? Well, we have proof here with our gallery images. Blondie's Bar is one of the most diverse and popular bars in San Francisco, CA where you will find an energetic and eclectic mix of patrons. We opened in April of 1991 long before the Mission was a destination for bar hopping, eating at some of San Francisco's best restaurants and shopping. We have a second bar, Blondie’s Wetspot, where you can grab a drink away from the crowd and have a quiet chat with your date or your buddies. It's open Friday and Saturday nights and can also be rented out for special events. We specialize in the best martinis in San Francisco with a selection sure to give you pause, so we guess you'll have to try them all! We were voted “Best of the Bay to Get Your Date Drunk off of One Drink” by the Bay Guardian way back in the 90's but we'd rather be recognized for 22 years of serving SF the tastiest and largest martini's you will encounter! 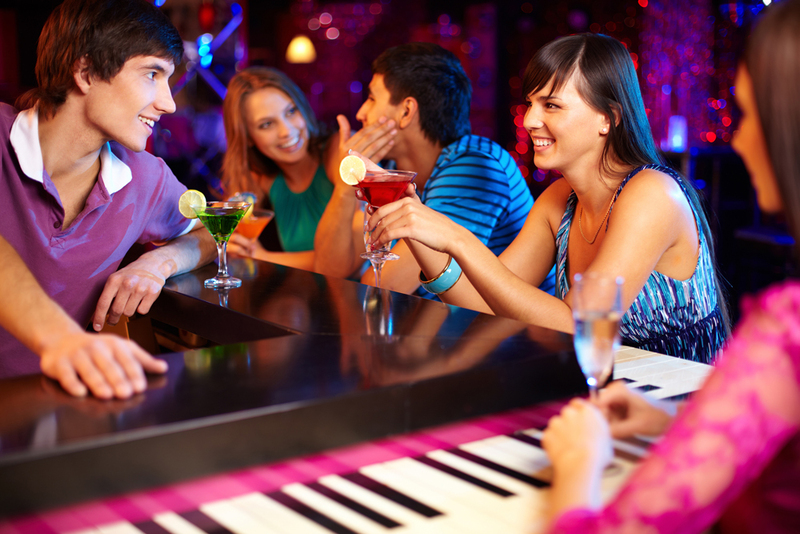 Each night we offer different entertainment, and the vibe of the crowd is just as varied. Whether your taste is DJ's spinning, 70's and 80's flashback, or current pop and hip hop (Monday, Friday and Saturday nights) OR if your sweet spot is live music, you can enjoy Jump Jazz, Honky Tonk, Blues or Swing featured Tuesday, Wednesday and Thursday nights and NEVER a cover! You will find something to your liking at Blondie's. Do you want to know more about Blondie's Bar and our history? Well, you'll just have to visit us to find out! Be sure to check our Facebook Page and Twitter Feed for Regular updates! Copyright © Blondie's Bar. All rights reserved.